Violinist Sarah is available in London, Kent, Surrey and Essex. She also performs throughout the entire UK and Worldwide. Sarah is a leading violinist. She works with exceptional DJ’s and musicians. Together they create a wonderfully unique and unforgettable show. Sarah’s electric violin performance can bring cool chilled out, soulful and electro dance grooves to your occasion as a unique and dynamic touch. Sarah is performing across London and Kent, the UK, Europe and the Middle East for leading artists and brands. She has the ability to create and produce a simple and unique performance as well as a more complex line up like performing alongside DJ’s, musicians and dancers. 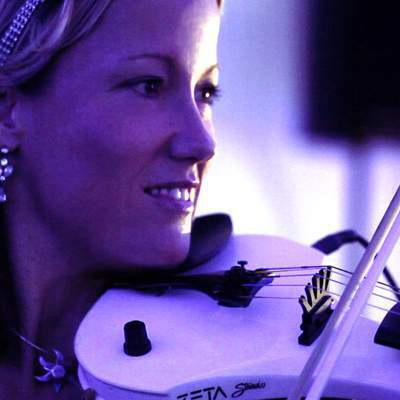 Violinist Sarah creates a new twist with a cutting edge sound. She combines modern technology and sound effects to provide a sensational atmosphere. Sarah’s repertoire includes Groove Armada, Jose Padilla, the Gotan Project, Deep House and Electro. For the last 12 years Sarah has performed for a wide range of artists and brands. She has extensively toured through Europe and the UK.